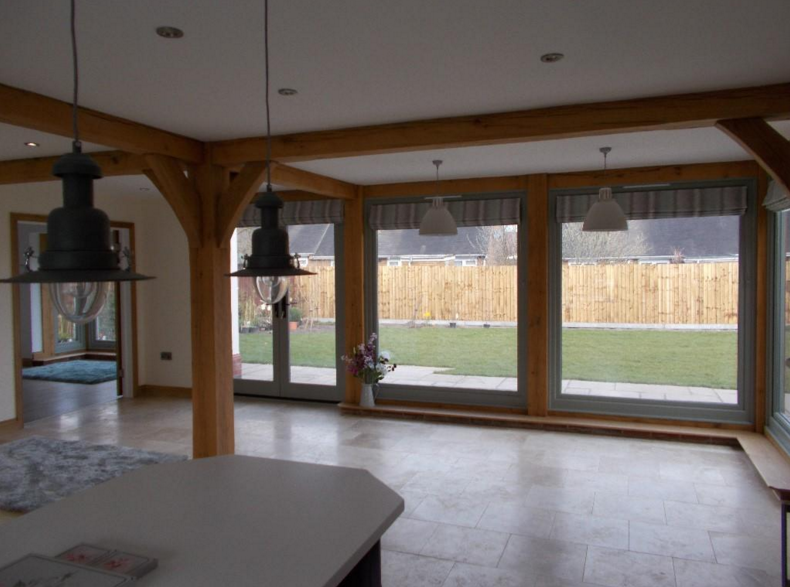 Our clients approached bi design with the vision to gain planning permission to build a new oak framed property on land to the rear of their existing bungalow. 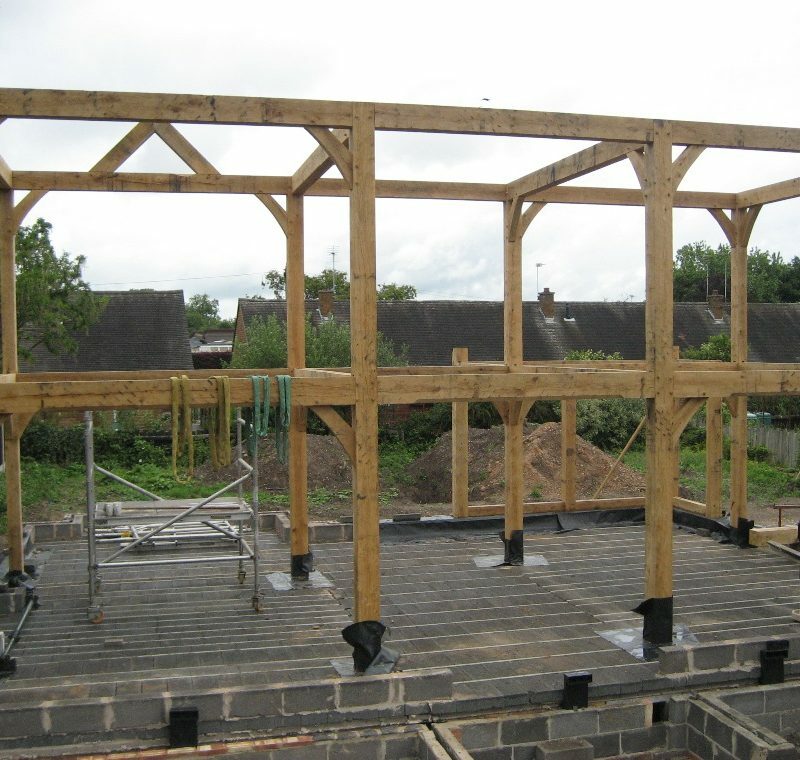 The first part of the process was to apply for outline planning consent for the new dwelling. 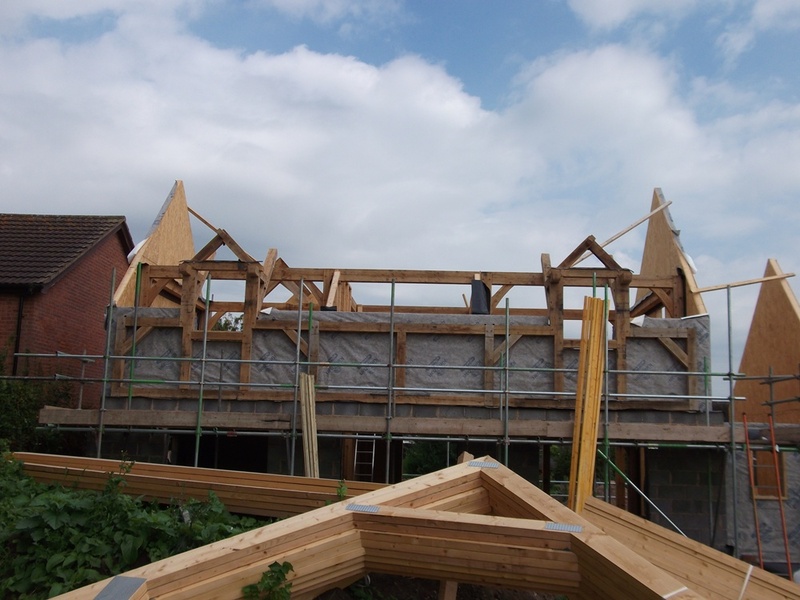 bi Design used past experiences and knowledge to overcome the challenges the site provided including the tight access and the proximity of the neighbouring houses. 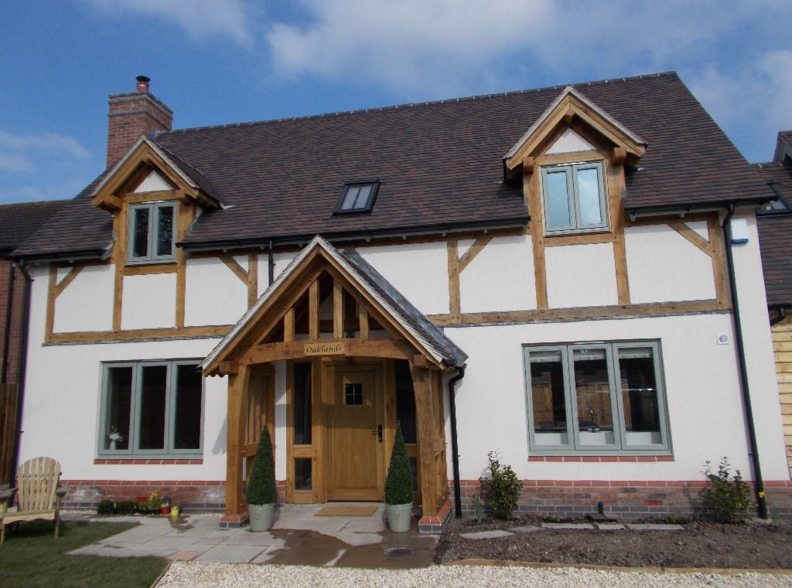 The challenge on grant of approval was to inspire the clients with a bespoke oak framed house design. 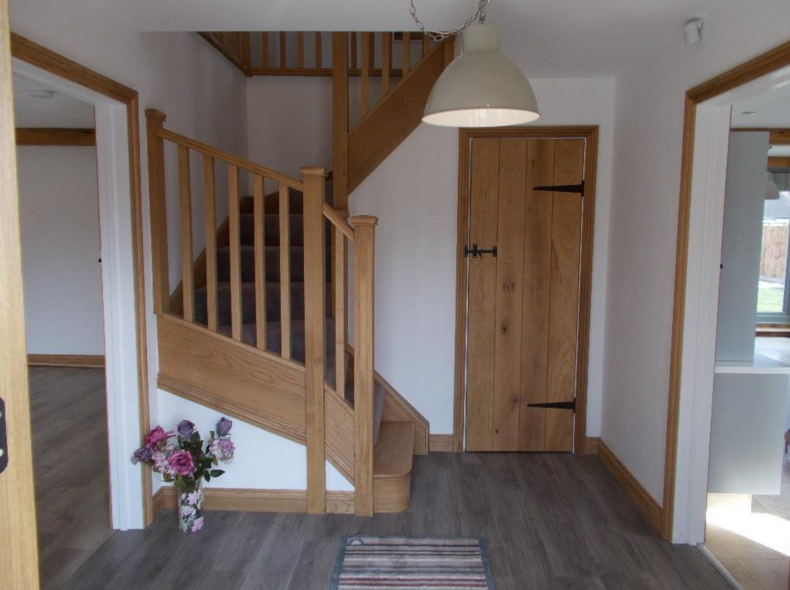 The clients loved the Pearmain Suckley Cottage house type by Boarder Oak but didn’t feel the level of accommodation worked to maximise the value of the site. 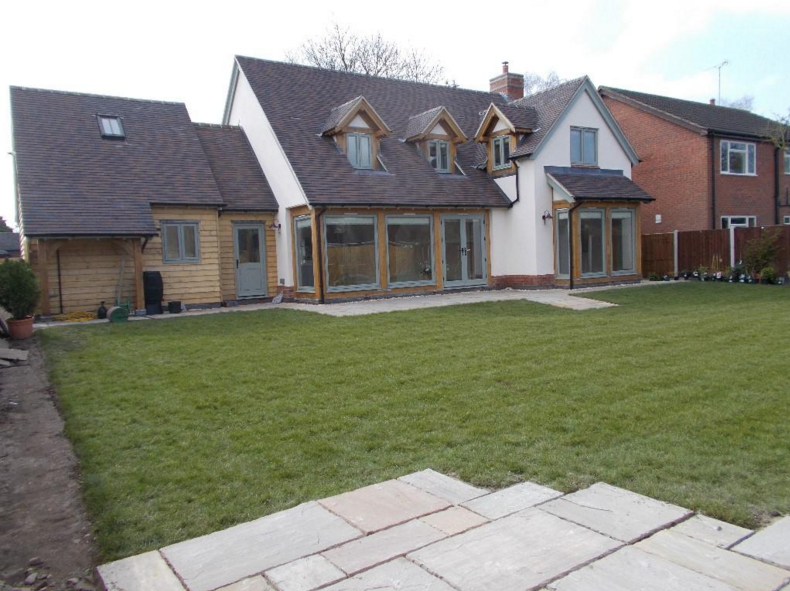 Using Suckley Cottage as the starting point bi design manipulated the design altering the eaves and ridge heights to gain a fourth bedroom and extended the roof down to the back to create an open plan kitchen dining living space. 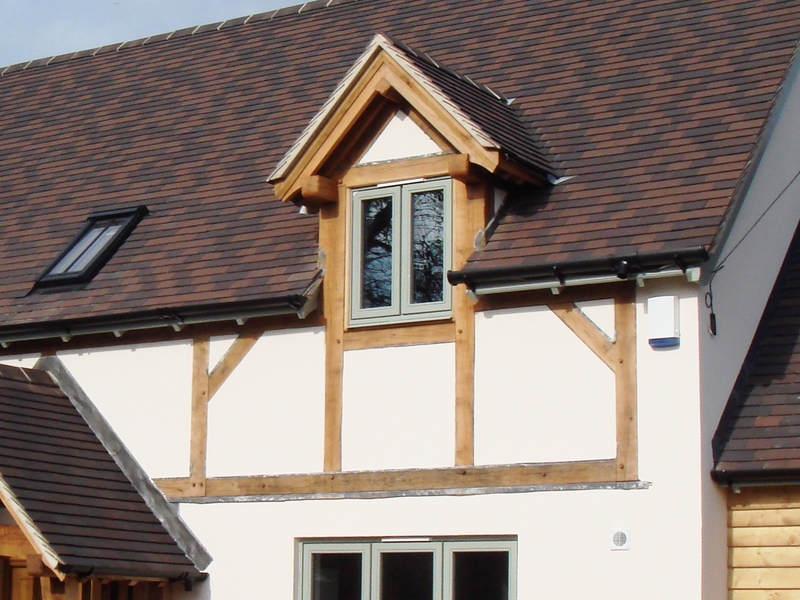 The house retained many characteristics of the Pearmain Suckley Cottage in particular the location of the internal oak frame and the proportions of the property from the front. 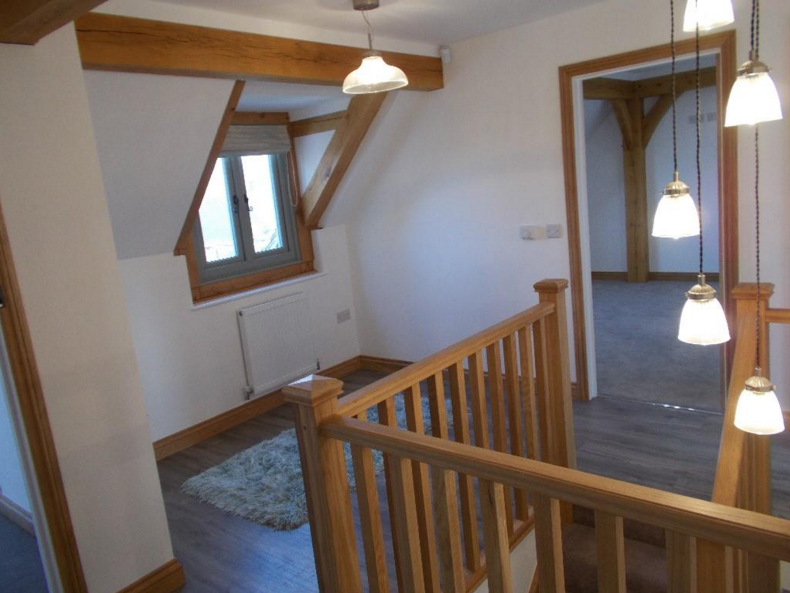 The internal layout is completely unique to the property with additional features including the bay window to the family room, the gallery landing and staircase and open plan living space. 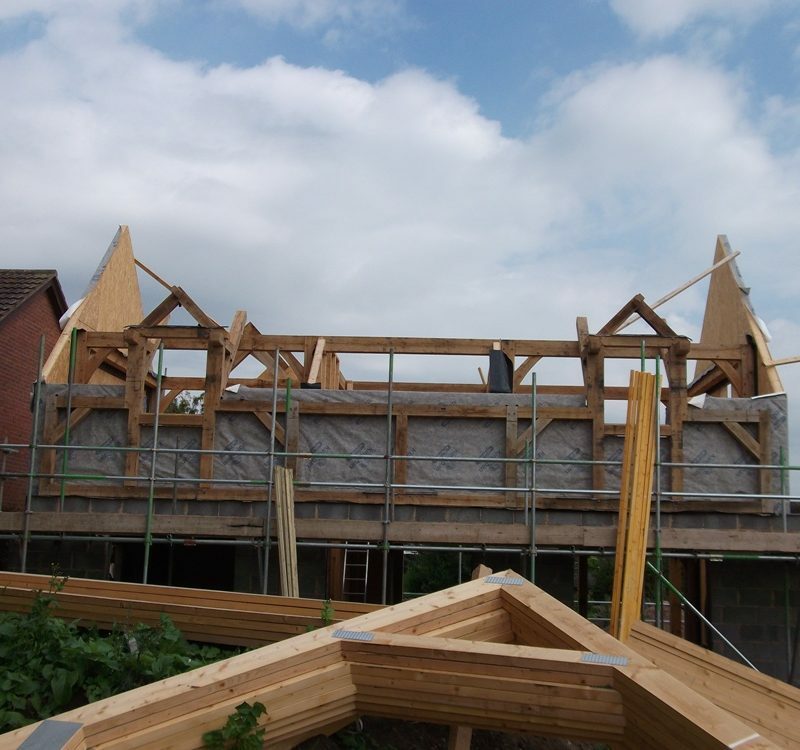 bi Design worked closely with Boarder Oak to deliver a building regulations and construction package which could be seamlessly used by the clients builder and Boarder Oaks frame and sips panel installers. 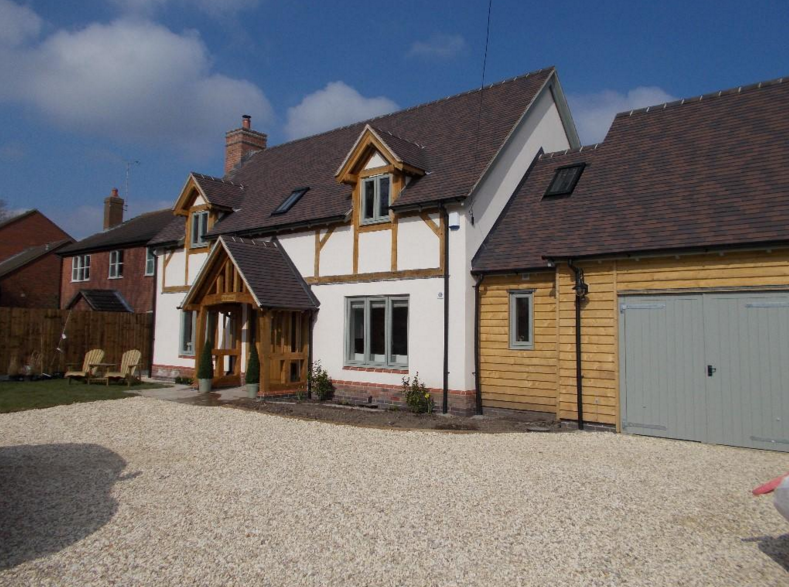 The overall effect is a beautiful property that stands alone in the Station Road landscape. 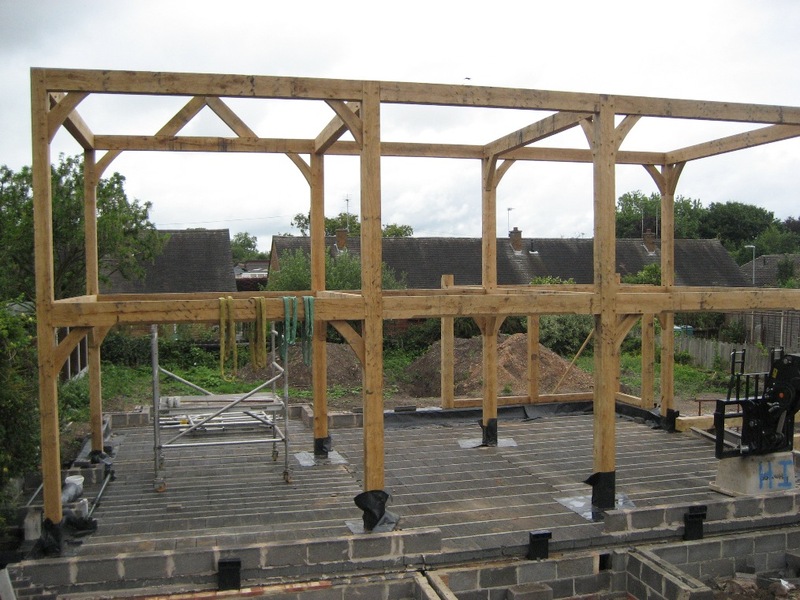 The use of oak externally in the front elevation gives a sneak peak to the oak frame used inside.